In considering how people learn to carry out various kinds of skilled performance, it is often useful to distinguish between (a) training in the part-skills of which the performance is composed and (b) practice in the total skill, sometimes called ‘whole-task practice’. Learning to swim, for example, usually involves not only separate practice of individual movement (part-skill), but also actual attempts to swim short distances (whole-task practice). In foreign language learning, the teacher’s means for providing learners with whole-task practice is through various kinds of communicative activity, structured in order to suit the learners’ level of ability. 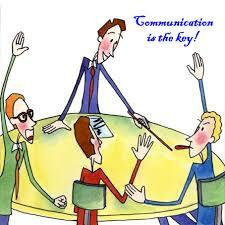 The learners’ ultimate objective is to take part in communication with others. Their motivation to learn is more likely to be sustained if they can see how their classroom learning is related to this objective and helps them to achieve it with increasing success. Also, most learners’ prior conception of language is as a means of communication rather than as a structural system. Their learning is more likely to make if it can build on this conception rather than contradict it. Language learning takes place inside the learner and, as teachers know to their frequent frustration, many aspects of it are beyond their pedagogical control. It is likely, in fact, that many aspects of language learning can take place only through natural processes, which operate when a person is involved in using the language for communication. If this is so, communicative activity (inside or outside the classroom) is an important part of the total learning process. Communicative activity provides opportunities for positive personal relationships to develop among learners and between learners and teacher. These relationships can help to ‘humanize’ the classroom and to create an environment that supports the individual in his efforts to learn. a general educational level of extra-linguistic goals (language learning within the school curriculum).